When I came to the US within 3 months of getting married, I had not cooked much on my own. With so many girls in the family, we were all used to being sous chefs, and knew how things should taste. (Confession: I didn’t know how to make rice properly). 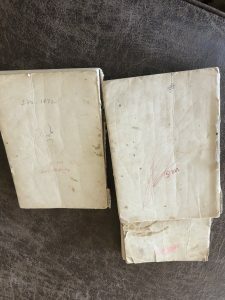 I had written down a few basic recipes from my amma. But some questions have a tendency to arise only when you put theory to practice. Like: should I wash the okra before or after cutting? (Epic fail, guessed it wrong and washed the okra AFTER cutting! Why won’t this okra get unsticky???) Is this toor dal or chana dal? The first time I made rasam for a guest, my husband’s cousin, the rasam was just tamarind juice loaded with chili powder, and the potato curry fiery hot, it probably burned a hole in his stomach. And in those days, phone calls to India were horribly expensive and limited to weekends. So calling or whatsapping amma was out of the question. Most communication was handwritten, and mailed in a red post box and took a week to ten days to arrive. I had to ask the question about 10 days before cooking it. And internet. Haha. Anyone remember the blue airmail that would send a thrill up your spine? But it was Meenakshi ammal, no relation to me, who travelled with me, spoke to me in language that was familiar to me, and fulfilled the role of amma, and paatti in my newly married, living alone with my husband in a strange land, where nobody knew my name, and the tomatoes-had-no-flavor life. She was the comforting presence I so badly needed. 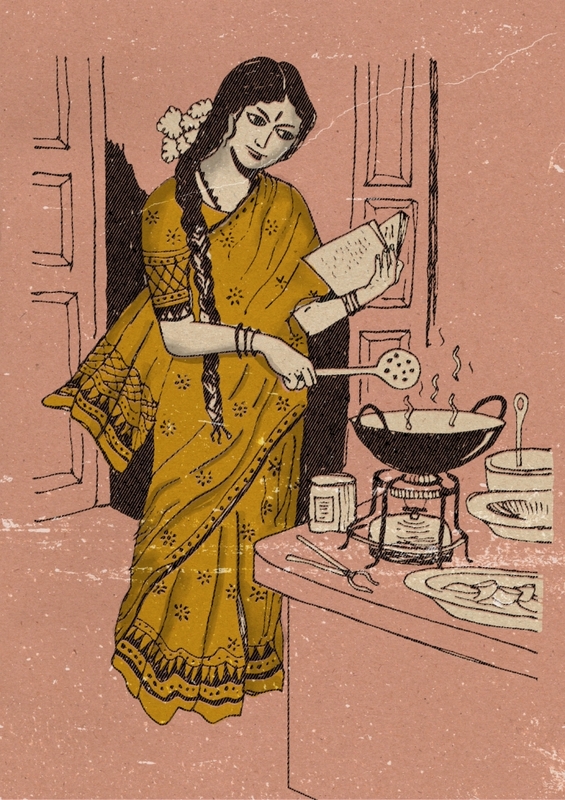 I developed and sharpened my cooking skills with a copy of her “Samaithu Paar” (Cook and See) volumes 1, 2, and 3. Look how loved they are! These volumes have been in all my kitchens, splattered with tamarind extract, smeared with turmeric powder, and taken all kinds of abuse! I still refer to her from time to time, example the more kuzhambu recipe that I posted recently. This lady was way ahead of her times. She was married at 19, widowed at 23, with a child. In her own words in the foreword to her first volume, she says she used to write recipes for the women in her family who got married and went away. Her uncle suggested that she gather these recipes and publish them as cook books. And thus were born, in 1951, the greatest boon to anyone wanting to master tambrahm cooking. Written in simple language, and with no pictures, they are genius in their barebones, simple, to the point, get to business tone. No stories, no fancy food photography. And there apparently wasn’t much marketing either. These sold by word of mouth. Sixty eight years later, and I’m still using these! And I have copies in English for my daughter. Meenakshi ammal was truly my guru and inspiration. I wouldn’t be the cook I am without her in my kitchen, holding my hand every step of the way through her books. Here’s an article a reader of my website shared. In 1951, This Housewife Wrote a Cookbook That Made Her a Legend in Tamil Nadu!